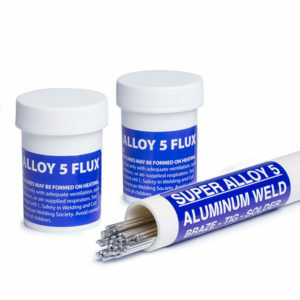 Step by step instructional video for how to repair damaged aluminum boat propellers with Super Alloy 5 Aluminum Welding Rod. Note that an oxyacetylene or other oxygen-fueled torch is required when working on any aluminum boat or large mass of aluminum. Propane torches will not heat the parent metal to a proper working temperature.